The First Look of Duvvada Jagannadham has made news in its own right. Stylish star Allu Arjun who scored three consecutive hits with Race Gurram, S/o Satyamurthy and Sarrainodu is back in action. He teamed up with director Harish Shankar for Duvvada Jagannadham (DJ). 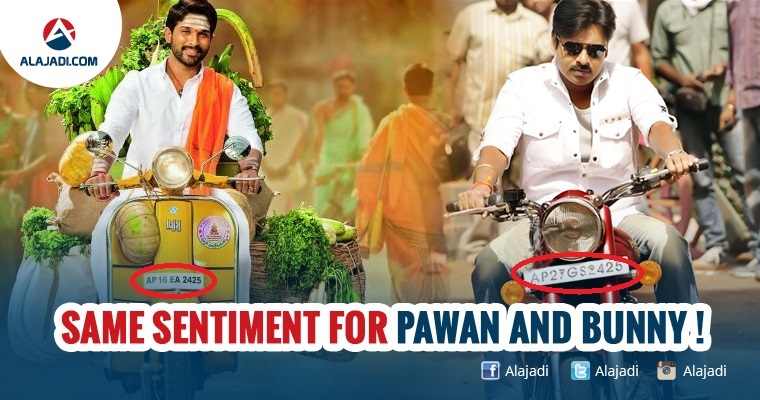 Mega fans are also happy that the number plate of the scooter that Allu Arjun is seen riding in the look bears the same number as that of Pawan Kalyan’s in Gabbar Singh. 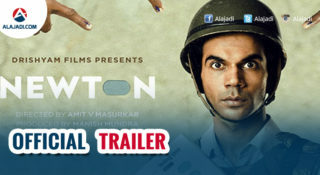 Now, scooter has been associated with big hits, especially in Bollywood movies. Aamir Khan in Dangal, Salman Khan in Sultan, Akshay Kumar in Jolly LLB2 and in the last decade, Shah Rukh Khan in Rab Ne Bana Di Jodi they all saw their male lead riding the bike. 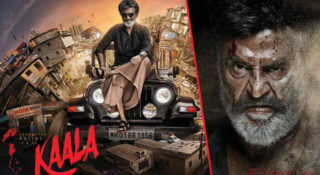 As far as the Stylish Star is concerned, he has two sentiments going for him sharing the same number plate as Gabbar Singh’s, doing what four of the top Bollywood stars have done in recent times. In the latest DJ first look, Allu Arjun is dressed as Purohit and rides on Bajaj scooter with loads of vegetables on the back of it. As soon as the look was revealed, an interesting news about the lucky number has been circulating on social media. 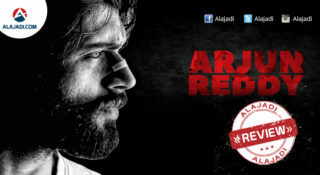 If one remembers Pawan Kalyan‘s powerful comeback film Gabbar Singh in which he arrives on a Royal Enfield bike which has number plate as AP27 GS 2425 and in the latest released poster of DJ, the Allu actor will be seen riding on a Bajaj scooter with number plate AP16 EA 2425. The teaser of Duvvada Jagannadham is going to be released for Mahashivaratri coinciding with the muhurat of Gabbar Singh teaser that was also released for Mahashivaratri. The overall look states that Bunny is playing the role of a Brahmin for the first time in soft character. If we look deeply, he was seen carrying many vegetables on an old scooter tells us that he is a professional cook. A close look on his scooter reveals his background. The film is produced by Dil Raju and presently is in the shooting stage, Duvvada Jagannadham is being shot in Karnataka and the team will soon move to Abu Dhabi.